Annika is very much like the other children in her neighborhood in Vienna except that she does not celebrate her birthday. Instead, she celebrates her Found Day. When Annika was a baby, Ellie and Sigrid found her in a church. The two women, a cook and a housemaid, took the baby home and raised her as if she were their own. As far and Annika is concerned, Ellie and Sigrid and the three professors that they work for, are her family and she loves them dearly. She has many wonderful friends about her and continues to make new ones. One person becomes especially dear to Annika. She is an old lady who tells Annika about her life. 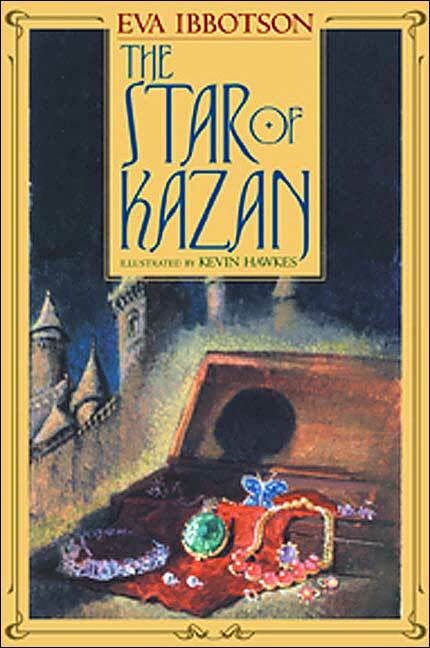 The old lady describes how she was once a popular star who was given fantastic jewels, including the wonderful Star of Kazan. Although she loves her life in the professor's house, Annika cannot help dreaming that one day her mother will arrive, a lovely and wealthy aristocratic woman who wants more than anything to be reunited with her long lost daughter. Then one day Annika comes home to find out that just such a woman is sitting with the professors waiting for her. Apparently Frau von Tannenberg had to give Annika up for personal reasons when Annika was a tiny infant but now she wants to have her daughter back in her life. Annika is excited to go to live with her new found mother but at the same time she cannot help feeling worried about leaving her home, Vienna, and everyone she cares about. Annika is justified in being worried for she soon discovers that her new home is not what she was expecting. Why is the family house always so cold, and why is there so little food during meals? Surely this is not the way aristocrats are supposed to live? Before she quite knows what is happening, Annika finds herself caught up in a dreadful charade created by her new mother and it will take all the courage of her new friend Zed and her old friends in Vienna to rescue her. In this book Eva Ibbotson tells a wonderful adventure story set in a time that clearly interests her and in a place that she loves and knows well. With great skill she brings together the threads of several stories to create a perfect ending that is deeply satisfying.